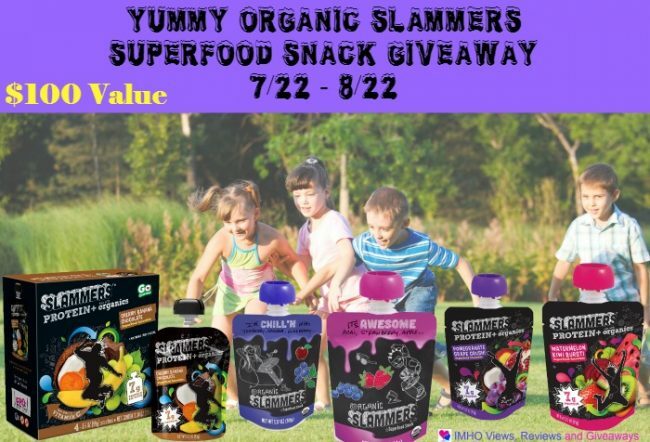 Enter for a chance to win $100 worth of Slammers Super Food Snacks! That is 3 cases to one winner! We know you won’t want to wait to see if you won, so click here to check out their website and find a store near you that carries these convenient nutritious snacks. Previous post: Monat Haircare Giveaway! I love that they are organic and healthy! Healthy on the go snack for my kids! The flavors sounds delicious! Thanks so much for the chance! These slammers sound really good I would have one with the kids.